A Brazilian professor shares here what he can’t publish in his country. Bruno Lima Rocha. Courtesy of the author. I have been a professor for the last ten years. I began my career teaching university extension courses. However, since the early 1990s, I have been deeply involved in the teaching of politics. My courses have helped students develop into activists across the country (some militantly set on changing Brazil). My work has contributed to various Brazilian and Latin American social movements. Those of us in academia simply cannot go on television, radio programs or publish videos concerning our politics. My own political education began in 1982 when Brazil successfully held its first general elections (state governor, senators, national and state representatives) in twenty years. The last election had been held in 1962, two years before the 1964 coups. The elections were something new and fascinating — many of us had never seen a democratic election process carried out in full. Politics had been changing rapidly leading up to the 1982 elections. The year before had seen a military terrorist attack on May Day. Public figures stopped proclaiming to be right-wing sympathizers. Over time, neoliberal policies would take hold and create the Brazilian economy we see today. The shift to neoliberalism came first through business education. Manuals, spread worldwide after being produced in United States, diffused neoliberal and conservative ideologies into Brazilian economic policy. 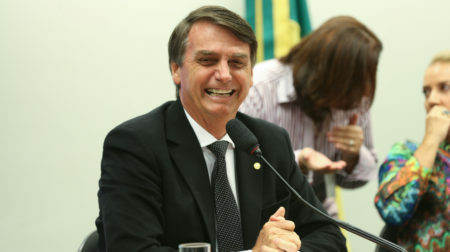 Upper-middle class and upper-class liberal activists took these ideas and ran with them, clinging to the prospect of unregulated wealth even as subsequent elections allowed for massive economic redistribution and the creation of social programs for working-class Brazilians that lifted millions out of poverty. A few years into my teaching career, I began to observe a severe split developing between my students. From 2013 to 2016, I taught at three private institutions: one a business college; another comparable to a community college in the United States, and the third a traditional, yet open-minded religious-based university. In 2013, Brazil experienced a youth rebellion motivated by the rise of bus tickets and the right to urban mobility. When Pope Francis visited the country, protests were abundant and chaotic, positioning the youth much further left than the national conciliation government of Pres. Dilma Rousseff. Those in favor of liberal and neoliberal policies stayed relatively silent during months of huge popular demonstrations and clashes against a militarized police force. After Rousseff’s re-election, those afraid of the left-wing uprising began to organize. This came mostly through the internet and marked the first alarming re-emergence of far right-wing ideology into the popular sphere since the early 1980s. Claims of the need to fight against “corruption, socialism, and gender politics” and “for the right to carry firearms” began to appear online. I felt this shift acutely during a Geo-economy class for International Studies students. I had a few students who identified with right-wing politics. Based on historical prejudice and the newly emerged internet campaign, they misunderstood my curriculum. I taught my students core concepts, like the international division of labor. These students mistook the phrase “social division of labor” — where professions are socially and technically divided — as a “social justice” concept and reported me to my director, calling me a “socialist indoctrinator.” I explained myself and, in the end, they agreed with the concept. Perhaps even more alarming is the colonization of our political glossary. At least since the 19th century, our political ideologies and language have been much more influenced by Europe than by the United States. But dozens of neoliberal youth agitators, trained by the Atlas Foundation (which is funded by the Charles Koch Foundation), have influenced Brazilian politics. They translated different manuals into Portuguese and developed a new aesthetic for neoliberalism. They created space for even more radical and ultra-neoliberal positions like the “Theory of Economic Law” by James McGill Buchanan, Jr. The advent of the political internet, as well as right-wing social media circles, made it possible for right-wing ideologies to spread rapidly. The far right has altered the rules of engagement, transforming serious debates in nonsensical talk shows. Then, the media stepped in. The political right and center-right began to target the reputations of scholars and activists. At this point, those of us in academia and organizers with deep community ties simply cannot go on television, radio programs or publish videos concerning our politics. Simultaneously, we refuse to publish lies or revisionist historical takes, leaving the media wide-open for use as a political tool. The new-old right wing in Brazil has changed the language, the habits of doing, debating and learning politics in the media. 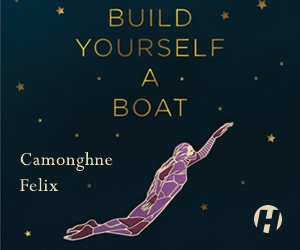 They have challenged the legitimacy of the classic and modern humanities and liberal arts. Their strategy has been to alter the rules of engagement, transforming serious debates in nonsensical talk shows. Ahistorical nonsense like “the Nazis were leftists” abounds. New philosophies have been spread based on obscure literature, like those of the astrologist Olavo de Carvalho, a self-proclaimed philosopher. Facts have been turned on their heads. Sarah Palin and Rush Limbaugh would feel at home here! It is not easy to work as a scholar and professor nowadays in Brazil. The increasingly extreme right denies the existence of Latin American thought and intentionally confounds left-wing policies and ideas with “Marxism”, used pejoratively. Pres. Jair Bolsonaro is a product of this twisted reality. 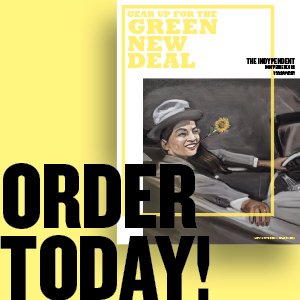 Our current ruling political class did its homework abroad, learning from and imitating the worst political discourses in the United States and colonizing Brazilian minds through online platforms and the media. Life in Brazil has become a paradox. We live in a society where most communities remain based in organic solidarity and an inner culture that is stimulated by social resistance. Yet, authoritarianism is a reality in Brazil that we must fight back against. Currently, it still feels unimaginable to think that our society will allow totalitarianism to take grip as it has in the past. Resistance is growing, people are becoming more politically engaged, and I still have hope that we will overcome this situation and defeat the re-emergence of the far right. 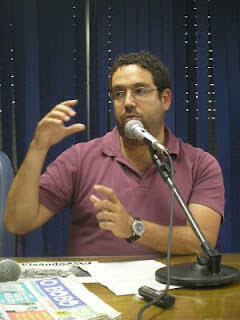 Bruno Lima Rocha is working on his post-doctorate in Political Economy and has a Ph.D. and MSC in Political Science. He works as a professor of International Studies and Journalism in southern Brazil. Bruno is also the vice-leader of a research group (capetacapitaleestado.wordpress.com) and editor of Estratégia e Análise (estrategiaeanaliseblog.com). E-mail: blimarocha@gmail.com. 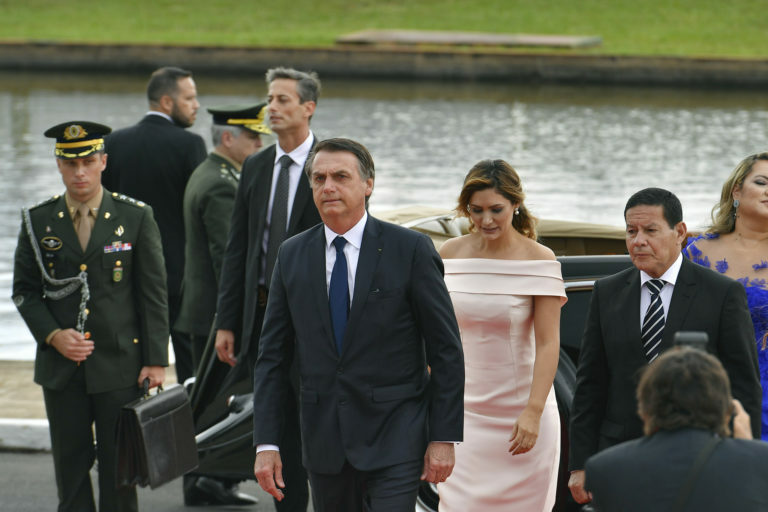 Photo: Jair Bolsonaro and his wife Michelle on the day he was inaugurated president, Jan. 1, 2019. Credit: Geraldo Magela/Agência Senado.